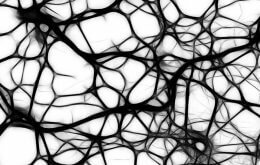 Our brains are made up of billions and billions of nerve cells or neurons that gather and transmit signals via so-called synapses. These synaptic connections between neurons transmit ‘electrical firings’ via chemical messengers (neurotransmitters). Synapses thus contribute to numerous bodily functions, including speech, thoughts and voluntary actions. Prior research revealed that several different proteins play a role in neuronal communication. However, these same proteins can also cause disruptions. This happens, for instance, when proteins split, causing their particles to stick together and clump. This ‘cellular debris’ then disrupts synaptic transmissions and may contribute to the development of neurodegenerative diseases. The study conducted by prof. Verstreken and his team once again emphasizes the need for ongoing research into neuronal communication. Such research could examine substances that may counteract the progress of neurodegeneration in neurons. This would aid the search for potential drug treatments for neurological diseases, such as Alzheimer’s. As this research may raise questions, we want to ask you to list the e-mail address that the VIB has made available for questions in your report or article. Everyone can contact us with questions about this research and other medical research: patients@vib.be.